If you need a quick workout, look no further! 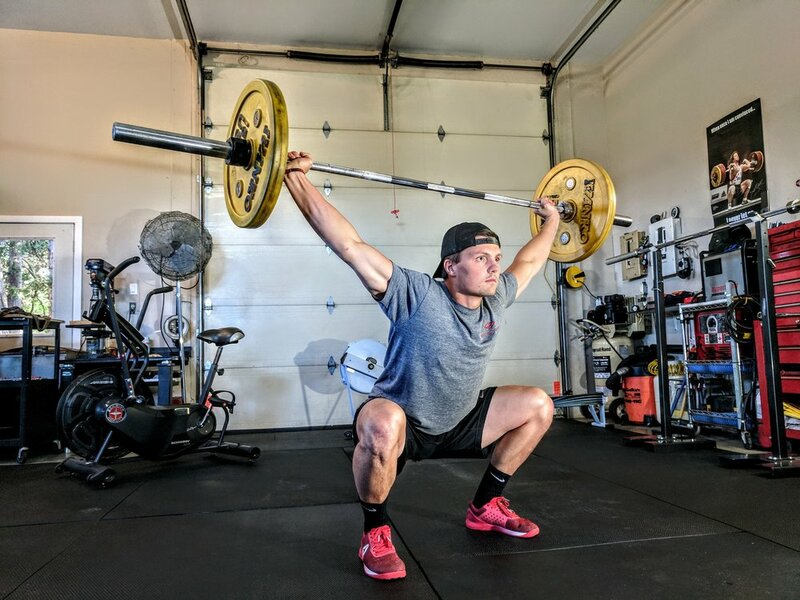 The overhead squat is a tough move that not many can do perfectly. But the only way to get good at something is to do it often. Take a free weight straight bar, PVC pipe, the straight bar for the cable machine, or even a resistance band; put it above your head and squeeze your back muscles together to keep the bar slightly behind your head. Consult your LifeStart personal trainer for correct form. You may need to angle your feet to get into the correct position by elevating your heels, using an angled board, or just a couple of 2.5lb weights. Do 10 overhead squats, followed by a 20-30 second sprint. Go as hard as you can. 1 min rest. Do this 6 times. That's it.